These Italian Meatball sliders are an easy meal for bite sized deliciousness. 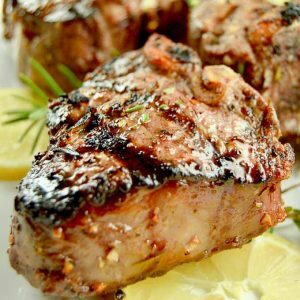 Serve them for game day watching or for a easy to make but filling meal for company! With the basketball season for college coming to a close, that means MARCH MADNESS is upon us! 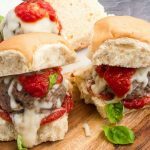 These Italian meatball Sliders are an easy meal to serve— the fact that they are bite sized makes it easy for people to keep cheering and eating at the same time! 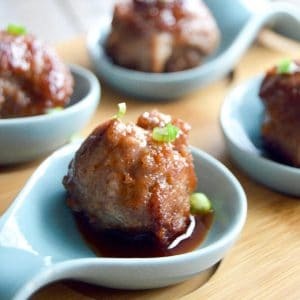 Meatballs are a food that everyone loves so serving them to your guests are a winning combination! The fact that these Italian Meatball Sliders are so easy to prepare is another tick in the win column. I’m kind of obsessed with meatballs and serve them often for entertaining. I particularly like these Buffalo Chicken Meatballs and these Bacon Wrapped Blue Cheese Meatballs. 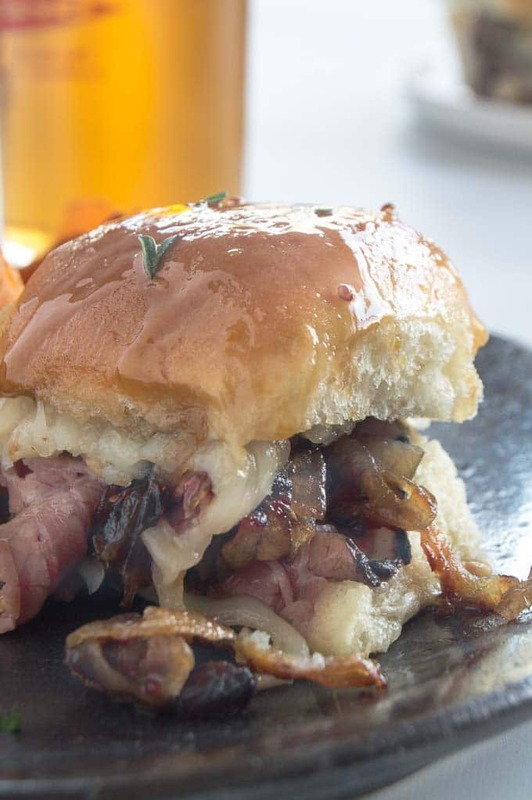 For game days lately Ive been doing more sliders for much easier eating while watching from the couch. The Italian Meatball Slider combines peoples love for meatballs with a finger food option for entertaining! 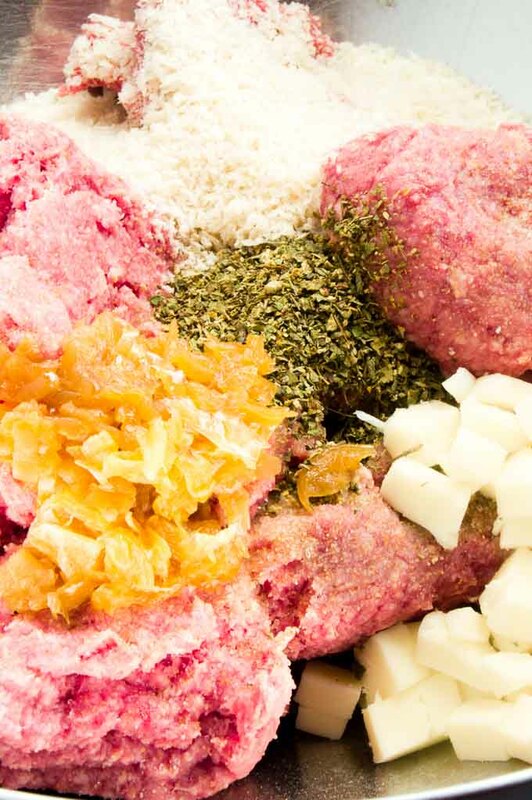 Mix the meatballs in two steps. When you go to mix the meatballs you should mix them in two steps. First adding everything but the eggs to make sure that all of the ingredients are spread evenly through the meatball. If you add the egg at the same time you add the beef, spices, cheese, onions…. the egg tends to hold the other ingredients and not let you evenly distribute them. By spreading the ingredients evenly, you are assured that the meatballs have a great flavor in every single bite. Form the Meatballs using a gentle hand. When you form the meatballs, you want to make sure to pack them gently, so that they hold their shape, but not so tightly that when they are baked they dont become dense and tough. Make the Meatballs an even size. Double the cheese for double the goodness! 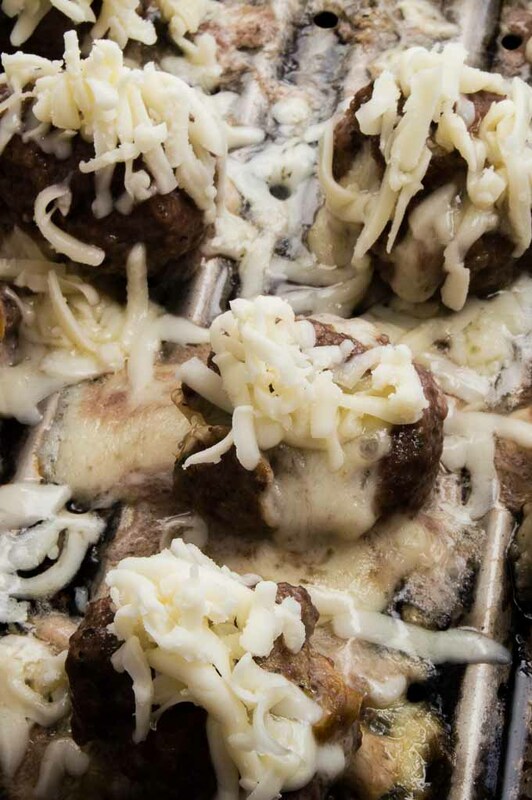 In this recipe for Italian Meatball Sliders you add small bits of cheese in the meatball itself (see photo above) and then midway through baking you add more cheese over the top so that you get the crispy edged melty cheese slathered over the entire meatball. 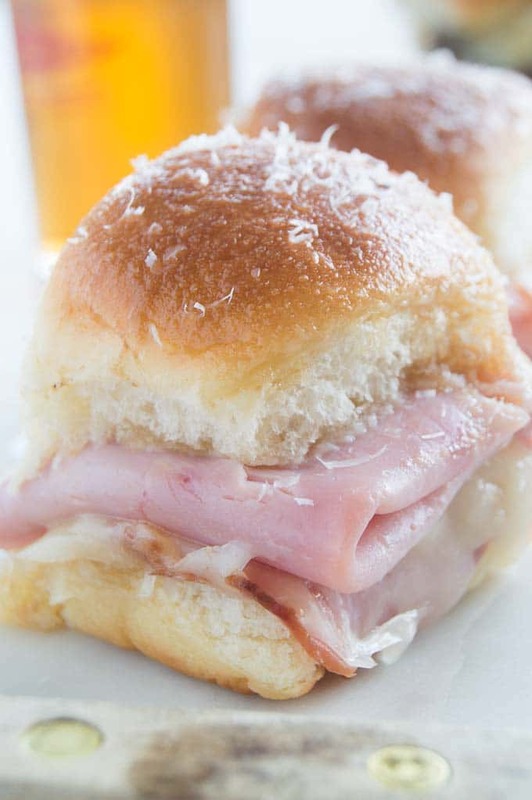 Looking for other Game Day Slider Options check out these delicious options! 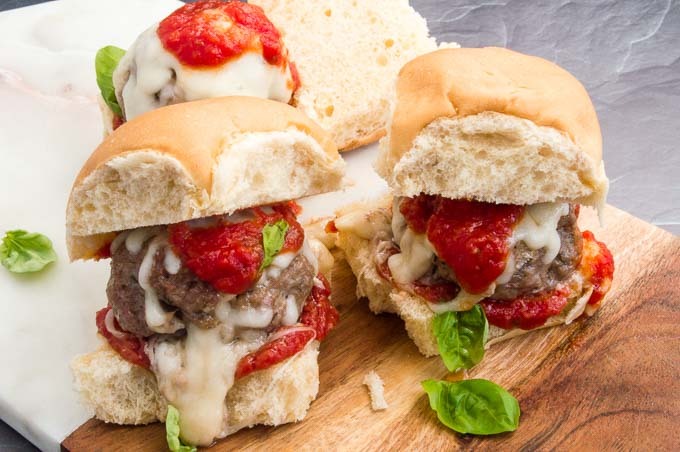 These Authentic Italian Meatball Sliders will delight all of your game day party goers! Juicy, cheesy filled meatballs slathered in melted Mozzarella drizzled with a tangy Italian Marinara sauce. Place Slider Buns in a foil packet, completely sealed and then set aside. In a large bowl place ground beef, sauteed onions, 4 ounces diced cheese squares, Panko, garlic Salt and oregano. Using a wooden spoon or your hands, mix all ingredients until well blended. Add beaten egg to ground beef mixture and mix until egg is incorporated evenly. Using a large scoop (imagine Ice Cream scoop sized) form gently into round balls. Do not hard pack the meatballs so they are very tightly compacted, you want to have tender light meatballs after baking. If you have one, use a scale to weigh them out so that they are the same size for even cooking. I weigh them out to 2.5 ounces each. Repeat until all meat is formed into a meatball. 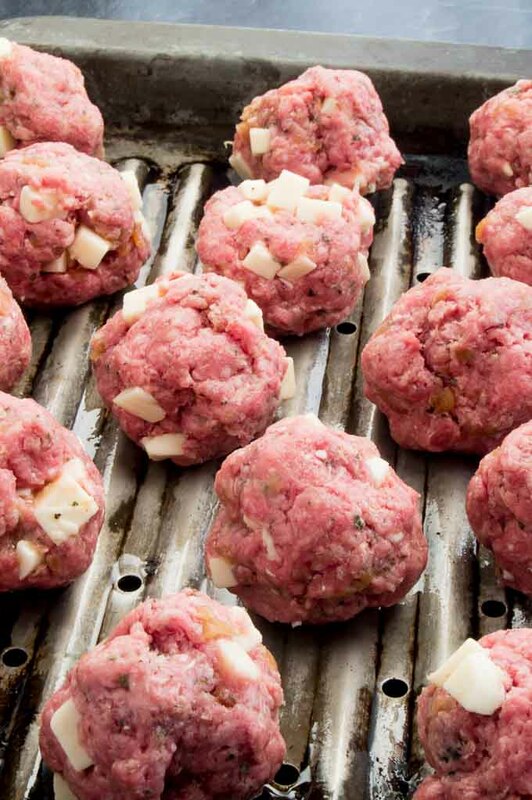 Place each meatball with at least 1 inch in between onto a roasting pan. Place Meatballs in the oven and bake for 15 minutes, then remove from the oven. While the meatballs are baking, in a saucepan heat the marinara sauce. At the time you remove the meatballs, place the foil packet of buns into the oven to warm. Evenly divide shredded mozzarella over each baked meatball. Place the pan back in the oven and bake for approximately 5 more minutes until the cheese is melted and slightly golden. Once cheese is melted the meatballs are done. Remove meatballs and Foil packet of buns from the oven. 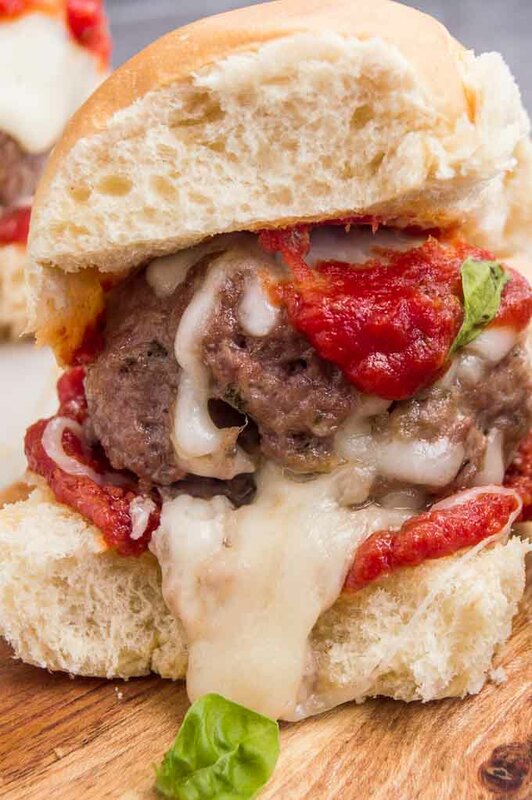 Build a slider with one cheesy meatball on each bun. 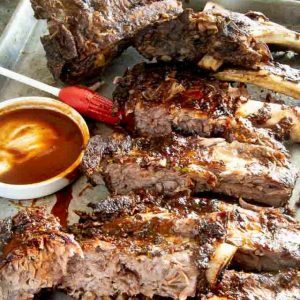 Spoon 1-2 tablespoons of sauce over the top and serve immediately. I suggest you buy your mozzarella and shred it yourself. Most of the pre-shredded store bought ones add ingredients to keep them from sticking together and preservatives to have them last Longer. I find that the cheese doesn't melt as well when you use these pre-shredded options. An added bonus... you get more cheese for the price if you shred it yourself. If you make the meatballs a day before baking them, remove the meatballs from the refrigerator 60 minutes before baking them to take the chill off before baking. These would be so perfect for the picnic we’re having in a few weeks. My mom made meatballs from scratch all the time. Yours sound absolutely delicious and I’m going to try them this weekend! 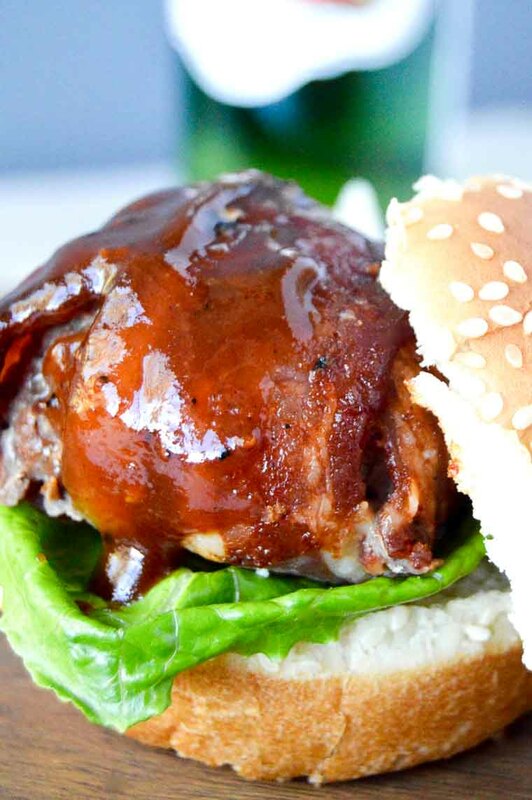 These meatball sliders look amazing and definitely a dish everyone will be happy to eat. You would not hear a single complain from family or friends. 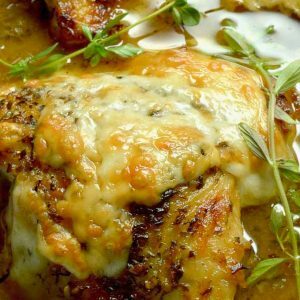 I love the tip about mixing the ingredients first and adding the egg last. So clever! I will do that every time I make meatballs from now on!